The 9-strong troupe is comprised of three trumpets, three trombones, drums, sousaphone, and fronted by the prodigious MC Chunky. The sheer enjoyment and passion which emanates from these musicians as they party on stage is as infectious as it is inspiring. Be prepared for a unique, genre-bending exhibition of exhilarating music fit for any occasion, guaranteed to have even the most stoic audience member on their feet and dancing like no-one is watching. Their original material knows no bounds; drawing from jazz, hip-hop, drum’n’bass, Balkan, trap, grime, dubstep, Latin, classical, they write and play whatever their collectively large heart desires. And the same goes for covers, which range from Britney to Bon Jovi, Shaggy to Blink 182. This astonishing versatility and insatiable hunger to explore all corners of the musical spectrum has led to collaborations with a wide variety of artists, such as London Elektricity, Swindle, Plan B, and Skinnyman. 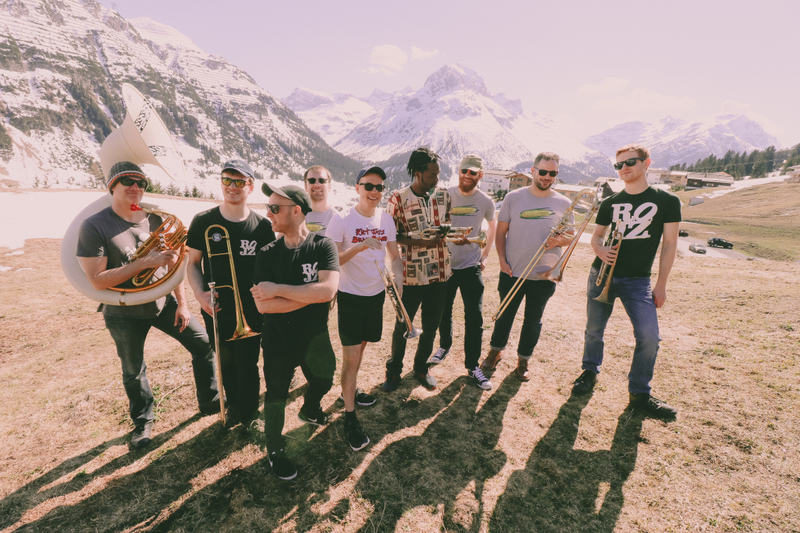 Highlights from their career so far include Glastonbury West Holts, WOMAD, Jazz Sous Les Pommiers, Love Supreme, and Canary Wharf Jazz Festival. The Contemporary Jazz Quintet Bang! 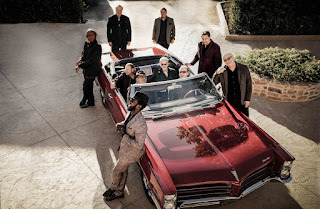 Oakland, California music legends Tower of Power - the most dynamic and distinctive band of survivors in Soul Music – is roaring into its unprecedented 50th anniversary with a dynamic new disc of all new material that finds them as energized and inspired as ever. A labor of love, definitively titled Soul Side of Town, this package is charged with 14 filler-free songs. In the spirit of their enduring theme song “Oakland Stroke” – the bookending intro and outro “East Bay” shine a light on elemental instrumental ingredients within the band’s signature sound. This astounding and historical release (available June 1, 2018 in digital, vinyl, streaming & CD configurations) inaugurates Tower of Power’s fresh affiliation with Mack Avenue Records, a Detroit-based company renowned for its award-winning dedication to top-tier Jazz that is now extending its support to Soul and Funk giants, Tower of Power: a band so one-of-a-kind, it’s an institution. Along with veteran members Castillo, Kupka, Garibaldi and Prestia, T.O.P. consists of guitarist Jerry Cortez, Hammond B3 organist/keyboardist Roger Smith, 1st tenor saxophonist Tom Politzer, and trumpeters Adolfo Acosta and Sal Cracchiolo. Soul Side of Town is also blessed with not one but two lead singers: outgoing Ray Greene (now in Santana) and incoming Marcus Scott (boldly introduced on several selections, including “Hanging with My Baby”). 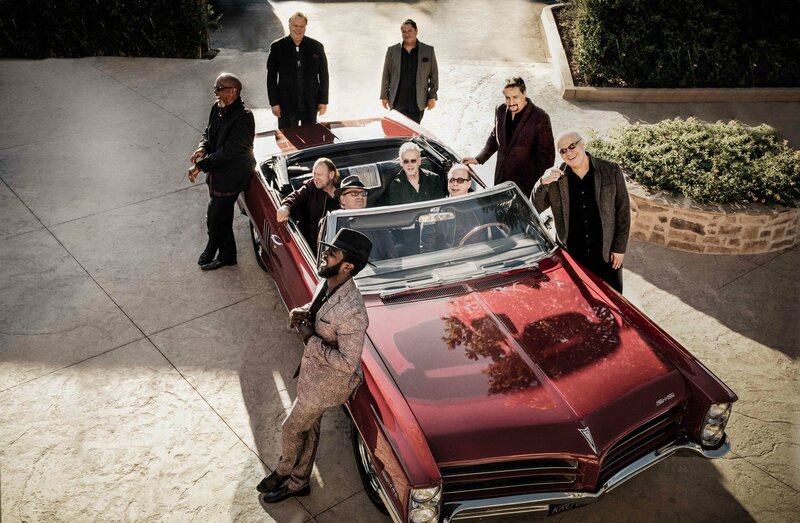 The 10-piece Tower of Power band is prepared to throw down next year with a celebratory tour that will include sweet spots around the globe.